The Black Bull0844 488 9013 work Public HouseThe Black Bull, Midgley is a popular rural pub that serves food in a traditional but stylish interior. A new addition to the Orchid Inn Great British Carvery family, the pub and restaurant, situated on A637, has a relaxed home from home feel. 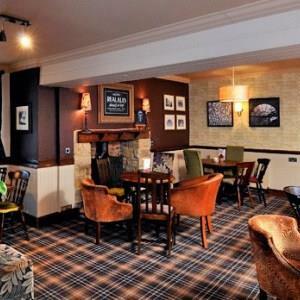 Chosse a carvery or meal from the extensive menu, watch a spot of live Sky Sports and sip on a pint of Cask Ale. The Black Bull, Midgley is a popular rural pub that serves food in a traditional but stylish interior. The pub is located 400 metres along the road, on the left hand side and can be see from the road.